a special program for keen hikers - an almost complete tour in the lands of the desert, including hiking and visiting the most spectacular and famous places - Masada, Petra, Jerusalem - all in a unique combined outdoor hiking and camping tour. 4 nights camping under the stars and in Bedouin encampments. Day 1 – arrive at Ben Gurion airport, and drive to Jerusalem (1h). sleep in good hotel in city center. Day 2 – after breakfast, we will drive east to Judea Desert and the Dead Sea. 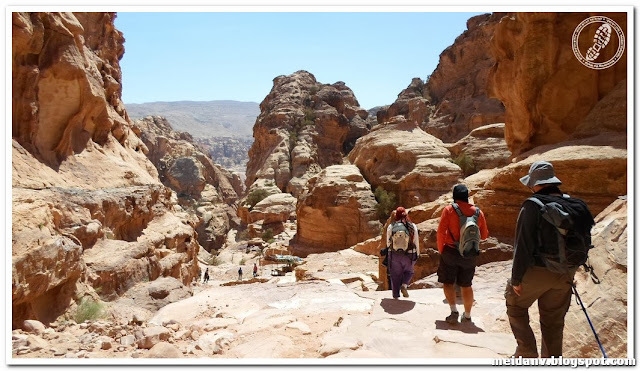 After a short swim, natural thermal baths and covering ourselves with the famous Mud, we will continue to Ein-Gedi reservoir for a short hike (2h) to the springs and waterfall in the middle of the desert. 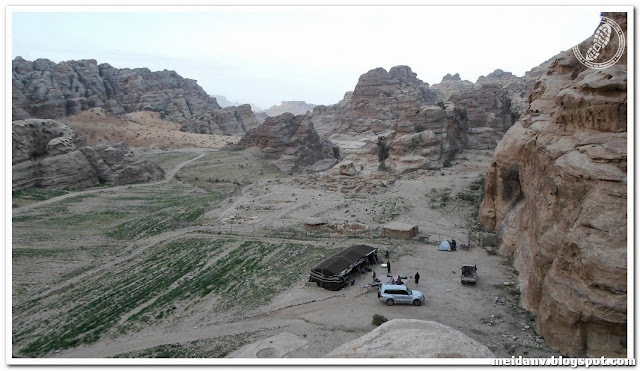 At afternoon we will drive to the outlet of Wadi Mishmar, for our camping site. Total walking 2-3 hours. 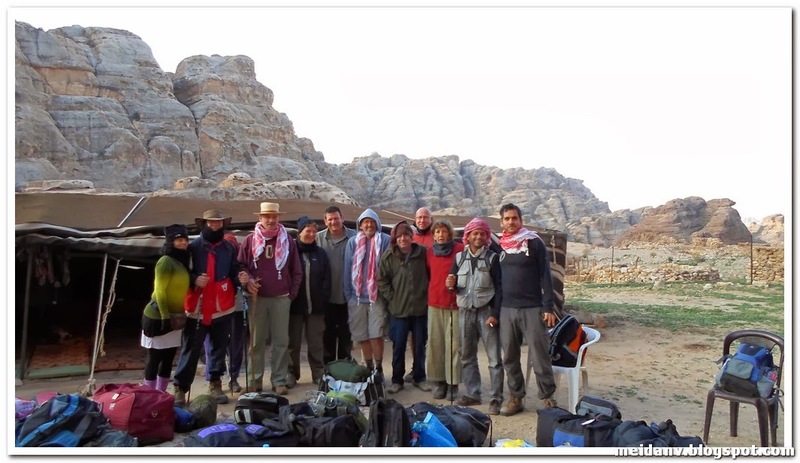 Day 3 – at morning we will start hiking from our Campsite, climbing up wadi Mishmar, visiting a small spring and an interesting cave, before climbing down to Wadi Zeelim, our next campsite. Total walking 6-8 hours. Day 4 – We will have an early wake up, because today we will climb up to watch the sunrise from Masada, the famous fortress of the Judea Desert. 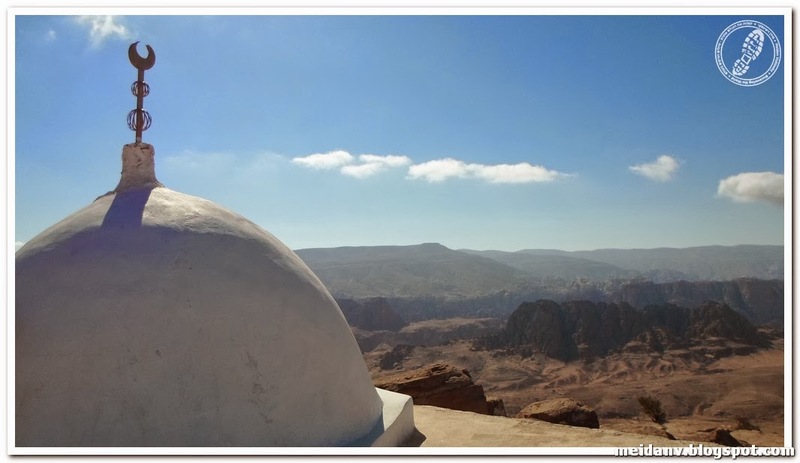 After hearing the interesting history of this place we will climb down back towards the dead sea, have lunch and then drive to the southern point of Israel – Eilat. 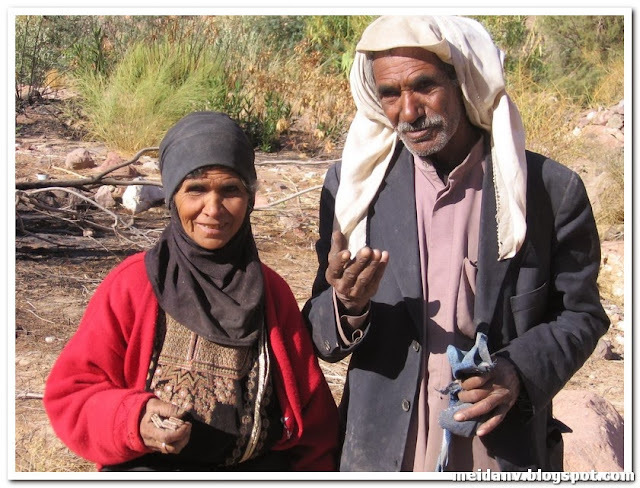 We will cross the border to Jordan and sleep at Aqaba, on the shores of the Red sea. Total walking 3-4 hours. Day 5 – after breakfast we will drive north along wadi Araba and the border with Israel, and the enter with some local trucks to the Edomite desert. 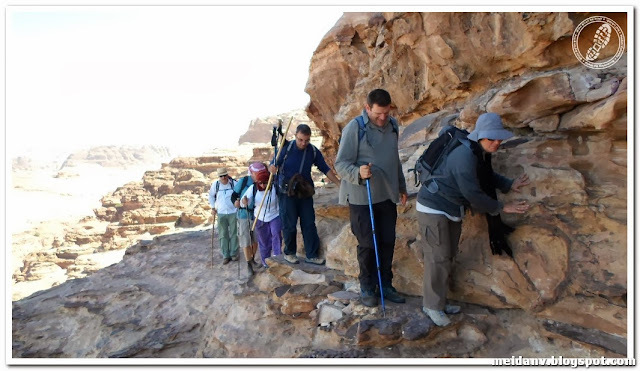 From Bir Madhkur we will hike east until we reach our campsite at the outlet of Wadi Musa. 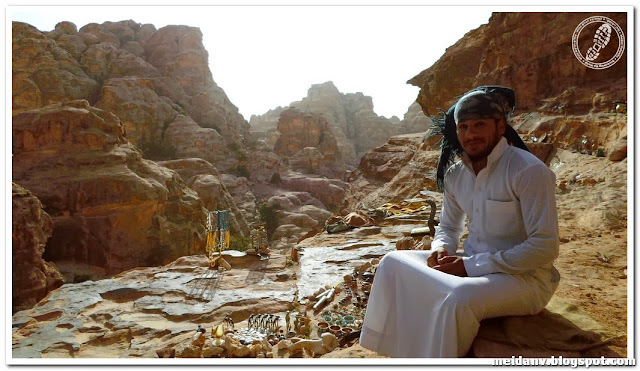 Sleep outdoor and Bedouin dinner. Total walking 3-4 hours. 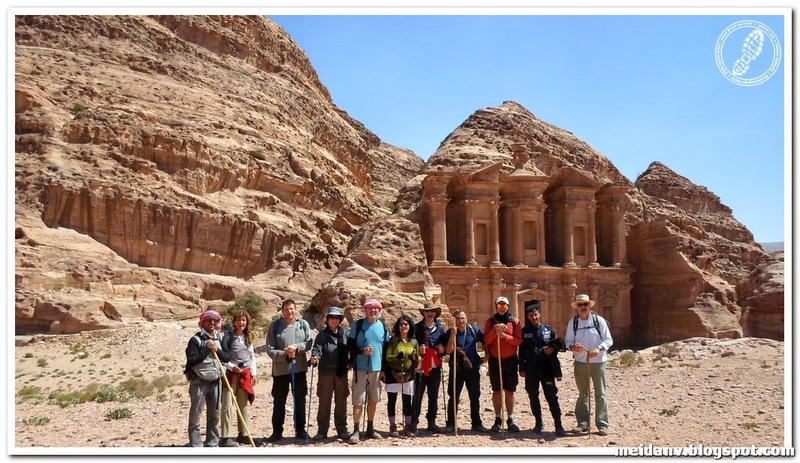 Day 6 – we start the hike up to the Nabatean ancient capital of Petra, climbing Naqb Sleisel to reach Jabel Garun (mt. 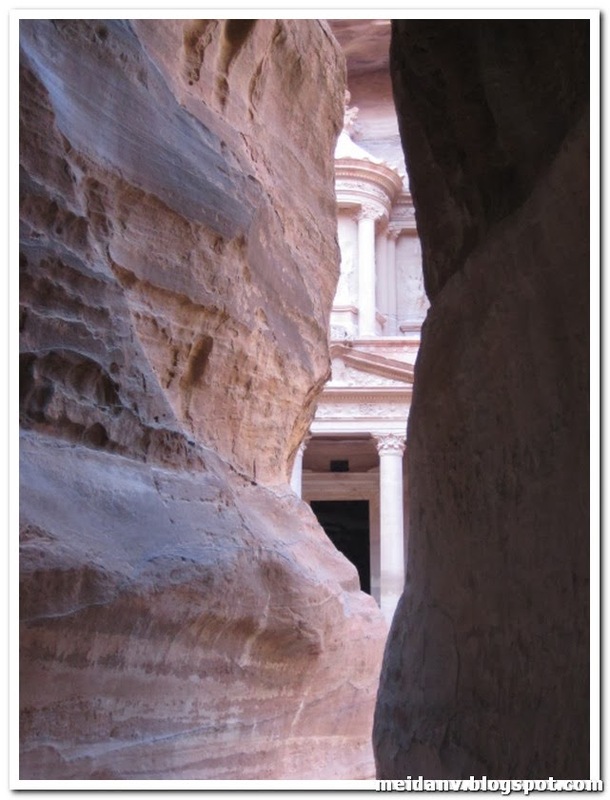 Garun) and the special sandstone formations of Petra. after picnic lunch we hike further to the ancient site of Siq-el-Bared, also known as "little Petra". we camp nearby in a big Bedouin tent. Total walking 7-9 hours. 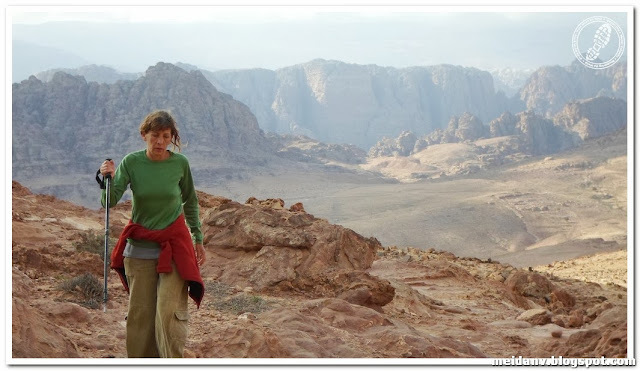 Day 8 – early wake up and drive north-east along the Jordanian side of the dead sea, reaching Allenby border-crossing. We will cross back to Israel and take the bus up to Jerusalem, reaching there by lunch time. We will visit the old city, with all its important Churches, Mosques and Synagogues, and here the stories of Jerusalem long history of politics and religions. Sleep in good hotel in city center. After dinner we can go out and enjoy some night life..
day 9 – last day of the tour. According to our flight schedule we will have a free morning in Jerusalem , before taking the bus back to the Airport.